This was such a great band. "Deadhead baby" is one of my favorite songs ever, and they had a bunch of tunes just as good. Thanks a lot. You have very good music here! Oh shut up. You've just spoilt my night. Now I'll have to go and sit in a vat of boiling fat as penance. Also, if the size of your "gut" (particularly your lower abdominal region) seems to drastically change in size throughout the day then a big part of your problem may be from bloating as well. For others, belching is a response to any type of abdominal discomfort and not just to discomfort due to increased gas. Everyone knows that when they have mild abdominal discomfort, belching often relieves the problem. thanks for this ive been trying to find where i can buy their material at areasonable price..any ideas? 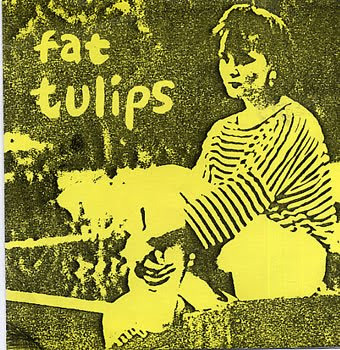 The Fat Tulips - Demo Tape is a wonderful post. very nice sharing. very interesting! Fat Tulips - Demo Tape is very nice and attractive post. Thanks for sharing..!! I like your post .. Your tips are so worthy for me. this post is useful and i really appreciate for this posting.